Disgruntled homeowner association members often want to share their “issues” with the other owners hoping to garner sympathy. They ask for the names and addresses for all owners, which the association will likely have to provide. But more and more, we are seeing owners asking to be provided other owners’ email addresses as well. Neither the Davis-Stirling Act nor the Corporations Code provides much guidance to condo and homeowner associations regarding whether they are required to provide the email addresses of the members in response to another members’ request. However, a 2010 California appellate court case, Worldmark, the Club v. Wyndham Resort Development Corp. comes very close to answering that question. There are two statutes that apply to disclosure by an association of members’ contact information. Civil Code §1365.2(a), which lists the association records that the board/association is required to provide to individual members upon request, includes “[m]embership lists, including name, property address, and mailing address” so long as the homeowner is requesting that information for purposes related to that homeowner’s interest as a member, and excluding the membership information for any members who have opted out of sharing their information. Like many provisions of the Davis-Stirling Act, there is some overlap with the Corporations Code, which, at Section 8330, provides that unless the corporation “provides a reasonable alternative”, it is required to provide its members a list of “all of the members’ names, addresses and voting rights”, again, only if the request is related to membership purposes. Neither of these statutes mentions anything about email addresses. So, does that mean that an association has no obligation to provide a list of members’ email addresses upon a member’s request? Not exactly. According to the Worldmark case, which only addressed the Corporations Code requirement, corporations may be required to share email addresses, even though the Corporations Code (and the corporation’s governing documents) don’t explicitly require it. Worldmark, the defendant/appellant in this case, is a California corporation that owns vacation time resorts, which its members then have rights to use. (Note: Worldmark is not considered a homeowners association, and therefore the Davis-Stirling Act does not apply.) One of Worldmark’s over 260,000 members requested an email list of all of the members of the corporation to distribute a petition to amend the corporation’s Bylaws. Worldmark refused, pointing out that Corporations Code § 8330 does not require the distribution of email addresses, and offered the alternative of allowing the member to distribute the petition by mail using a mailing house. The member made two arguments in support of his demand for the email addresses. First, he argued that the requirement to provide “addresses” in the Corporations Code included email addresses. Second, he did not think that the alternative of mailing the petition was “reasonable” because it would have been extremely expensive to mail the petition to all of the corporation’s members (the court calculated the cost as being over $20,000), and because the time that it would take to mail the petition would prevent him from circulating it prior to the upcoming Board meeting, which was only two months away when he first made his request, but only eight days from the date that Worldmark proposed the alternative of using a mailing house. In the Worldmark case, the court agreed with the member, and held that the word “address” is sufficiently broad so as to include email addresses. Further, the court held that the use of a mailing house was not a reasonable alternative, focusing on the fact that the cost of physically mailing a petition to 260,000 people was prohibitively high, but also mentioning that it was less time-efficient. The member prevailed, and the court ordered Worldmark to provide him with a list of all other members’ email addresses. Does this holding apply to homeowners associations? Probably, although associations have to consider both the Corporations Code requirements as well as the Davis-Stirling Act’s requirements. 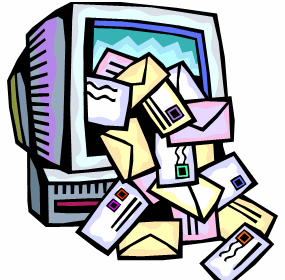 The court’s finding that the word “address” includes email addresses is important. The Davis-Stirling Act refers to the “property address” and “mailing address” rather than simply “addresses” (as in the Corporations Code). Based on the court’s discussion of the definition of an “address”, if a member provides an email address as an alternative to their physical property address, this would likely be considered a “mailing address”. As the Davis-Stirling Act does not allow an association to provide a reasonable alternative in lieu of the requested information (as the Corporations Code does), the association could only withhold email addresses if the members specifically opted out of having their email addresses shared. An association would have an argument that “mailing address” is more specific than just an “address”, and that therefore, the Davis-Stirling Act does not require distribution of email addresses. In that case, the Corporations Code may apply (assuming the association was incorporated). Because most associations have a much smaller number of members, providing physical mailing addresses would generally be a reasonable alternative. However, if an association chose to take this position, it may find itself in the position of having to defend it. Rather than taking on this fight, we suggest that the association prepare in advance for this situation. There are some precautions that associations can take to make sure that this does not become an issue. For example, if your association maintains an email list as part of the other contact information maintained regarding the owners, you may consider sending a notice to the homeowners that the association may be legally required to distribute the members’ email addresses in response to certain member requests, but that homeowners can opt out of having their email addresses and/or physical mailing addresses shared. The association can even provide a form for those homeowners who want to opt out to submit to the board. This way, the association can share the email addresses without having to worry about whether the members whose email addresses are distributed will be upset that the association gave out this information. Of course, all of this assumes that the association does maintain a list of owner email addresses. If the association (or its management company) doesn’t have a list of owner emails, it doesn’t have any obligation to provide what it does not have. Merely because the manager or some board members may have some members’ email addresses does not mean that the association maintains an email list. While some association members may be put off by the fact that the association may be required to share their email addresses (really, who needs more unsolicited emails? ), this can be viewed as an overall positive step. Clearly, the legislature is going to take a while to incorporate new technology into the Civil and Corporations Codes, and this case indicates that California courts may also be willing to allow certain uses of technology that aren’t specifically provided for in the applicable statute.